At NordicTrans, we’ve managed to continually provide our clients with an unsurpassed expertise in our translation services, including English to Norwegian translation services. Now we’ve designed our very own project management system that’s web based, in order to further give our customers a more convenient experience. This new innovation is created to allow our clients to have access with the status and progress of their previous and on-going projects. It also features a 24/7 online live action centre, invoicing, a free live quote feature and also a free word count tool for all projects. Our topmost priority is quality assurance as we always adhere to the standards set by the International Standard Organisation (ISO) and we also follow the regulations of the American Translators Association (ATA). We only choose and employ the best native translators and proofreaders, so that quality and precision is always ensured in all our translated outputs, such as the English to Norwegian translation. No matter what is the type and size of the project that you have, we will serve all your translation needs. Experience accurate English to Norwegian translations wherever you are in the world right now. Try our translation services now and discover our expertise. Get high quality affordable translations from our teams of native translators at low rates. Are you looking for a reputable translation services provider that renders high quality English translation to Norwegian at affordable rates and quick turnaround time? Then you’ve come to the right place. Here at NordicTrans, we are experts in providing just that, like English to Norwegian translations. Whenever you go to other countries outside your own, you can always connect with others thru language and communication. We specialise in the Nordic languages and we only employ professional translators who are native speakers of any language they represent. Our in-house teams consisted of project managers, translators, and proofreaders are available 24/7 to serve you and deliver projects on time. We cater to any project field or area there is, regardless of where you’re at right now. We have the best prices with no hidden fees or additional charges for all our offered services. We provide services like English to Norwegian translation services for weekend projects and rushed job orders all at the same usual rates. We’ve done so many translation projects before and in doing this business for over 16 years now, we’ve gained expertise to serve our customers with the best affordable translations that they can get. When we started in 1999, our aim is to break language barriers so that everyone can communicate, convey messages, and understand each other very well. Now we’ve grown to become the largest translation company operating in the entire Northern Europe region. We’re even one of the world’s leading translation services agencies today, and we translate almost all the languages in the world. 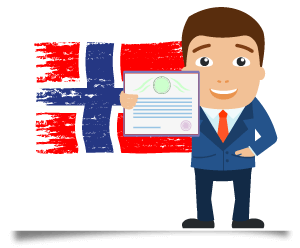 All our translators are Norwegian natives, thus they are able to understand all the dialects that you need, and therefore you can rest assured that you will accurate Norwegian translations for any documents or websites. We always appoint the best-fit translators to your project with a background in related subject matter, rather than giving it to any translator. Because there is no translator who is expert in all the fields, we employ the most capable translator for every document with regard to the subject matter and style of your document, just to make sure the output is highly accurate. Every translation task we take is carried out by professional Norwegian translators, working only in their native language. We ensure proofreading and editing by a second translator who is also a native of your target language and knowledgeable in your field. Our teams of native translators are experts in translating projects in any areas and industries; no matter if your document is business related or a highly-technical report, we can have it translated just as easily as we do a personal document. Why would you target the Norwegian market? Norwegian is a North Germanic language and the official language of Norway. Though it is a small country, Norway has its place in the world and is well-known for its exports. 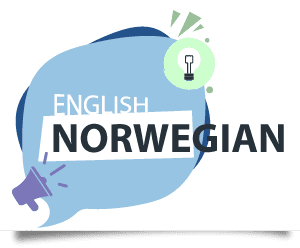 English to Norwegian translation has in the recent past become important for several people who are looking to establish in the country and for global businesses that are looking to target the Norwegian market. 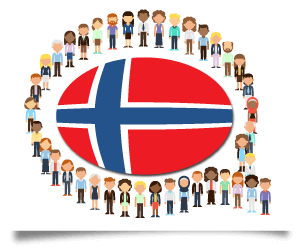 If you are a business looking to expand your reach in Norway, we can help you with Norwegian translations for any documents you may have, but we can also translate and adapt your full website to the Norwegian culture. When it comes to documents, we make sure that your translation will be delivered in the same layout and format as the original document, meaning it can be used instantly after delivery. Our expert team of in-house experts is also available to manage complex document layouts for marketing and advertising purposes through our DTP services. Now you know where to turn to when you have translation needs for all or any of the services mentioned above. Please get in touch with us so we can provide you with high quality translations, like English translation to Norwegian for example, at truly affordable prices. Exploring our website is the best thing to do if you want to learn more about the services we provide or to get your live quote or even a document word count for free. You can also reach us by live chat at any time for any questions you may have. 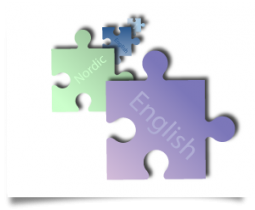 When you think about English translation to Norwegian, you may be confused about the queer conversion of languages, or you may have misconceptions regarding the Norwegian language. But the fact that it is spoken and understood by 5.6 million people may change your mind about not targeting your potential audience here. You do not need to fret over the hassles of finding a good company to carry out an accurate translation for you because we are here to save you from the trouble. We believe in offering precise translations, which are certified and assured to be accepted by any respective institution, to our clients such that they do not have to run to other places for the acquirement of a steady, caring and quality English translation to Norwegian. 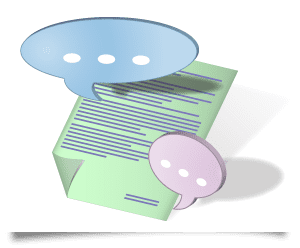 Our translations are carried out by human professional linguists rather than that automated software which holds the room for errors due to their unpredictable nature. This ensures a secure method of approach which refines the techniques used to convert one language to another and we ensure extra proofreading through a second native at no additional cost. We do this because we aim to provide the best to our clients and hold true to our claim of being the leading Nordic translation company. Our offices are interconnected and we have over 3.000 linguists in our midst, ready to help you with any translation project you may have, from simple documents to highly technical jargon, from translating an entire website to localizing your software or app. At NordicTrans, we are able to translate for you in any language that you need. Our services are available for small and large organizations, but also for individuals and we have professional translators who are always ready to work on any project.